Playa Ventanas is one of the best all-around beaches in all of Costa Rica, and it is my personal favorite. A couple of years ago I strapped a GoPro camera on my head and recorded my journey from the front of one of the caves, all the way through, and out on the other side. Enjoy the GoPro Playa Ventanas video below! CAUTION: DO NOT TRY THIS! IT IS VERY DANGEROUS! I made the video so it is not necessary for you, your guests or friends, to do it themselves. 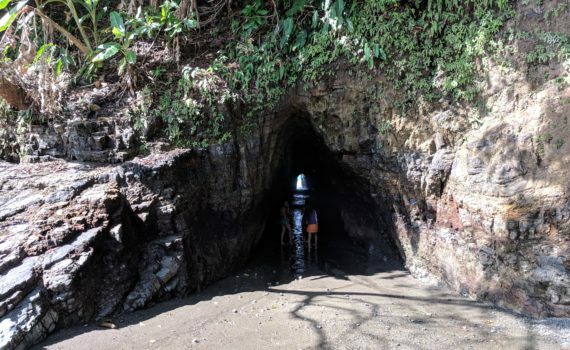 The caves at Playa Ventanas are the inspiration for the name of the beach itself. 'Ventanas' means 'window' in Spanish. Therefore, these are not caves, these are 'windows' of the beach. The windows (or caves) at Playa Ventanas are equally beautiful and fascinating. As the tide rises, and more water is forced into the holes of the caves, the louder the WHOOSH!! BANG!! gets, caused by the accelerating water. The best time to visit Playa Ventanas is NOW! Regardless if it is during low tide or during high tide. As you can see from the GoPro Playa Ventanas video, during low tide, it is easy to enter and explore the caves/windows. The best time to visit Playa Ventanas is during low tide. During low tide, the Pacific Ocean is receded and the beach area is enormous. During low tide Playa Ventanas is a great place to walk or jog on the sand, join in one of the many soccer games that takes place or simply relax and enjoy the sights and sounds and salty smell of the ocean. If you wish, make your own GoPro Playa Ventanas video and send us a copy as we'd love to see it. 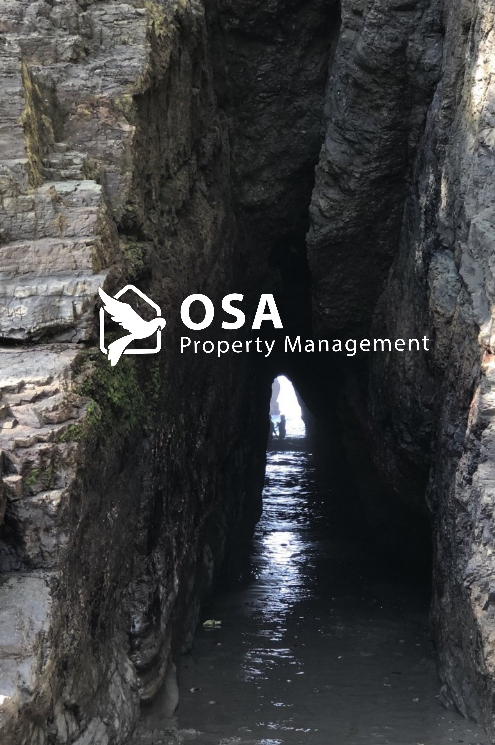 In fact, if you wish, we can add it to our Osa Property Management YouTube channel. Our team has decades of collective experience in protecting and managing real estate assets in the Southern Pacific region of Costa Rica, particularly in Uvita, Ojochal, Tres Rios, San Buenaventura, Palmar Norte. We ensure our clients, whether renting a home, or buying Costa Rica real estate to develop, have a positive experience.